We bring to the attention of our readers this provocative review of the strategic and corporate interests behind 9/11 including Wall Street, the Texas oil companies and the defense contractors. The statements in this article are corroborated by numerous studies, books, news articles and research reports published since September 2001. In the course of almost ten years, Global Research has conducted a detailed review and analysis of the 9/11 attacks, focusing on their broad implications as well as their historical significance. See our 9/11 and the War on Terrorism Dossier. Mirage fighters, F16 fighters, B-2 Stealth bombers, 15,000 NATO air sorties. 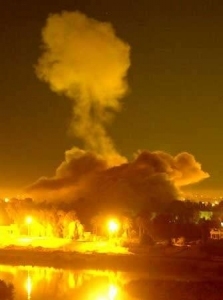 the bombing of thousands of civilian targets.. NATO is said to be coming to the rescue of the Libyan people. That is what we are being told. Western journalists have quite deliberately distorted what is happening inside Libya. They have upheld NATO as an instrument of peace and democratization. They have endorsed an illegal and criminal war. They are instruments of US-NATO propaganda. TRIPOLI. 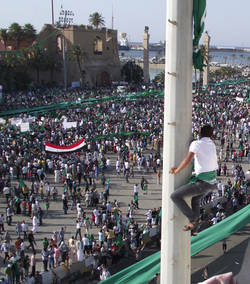 Friday of July 1, 2011 like many other Fridays has seen huge rallies in Tripoli’s Green Square. On Thursday, the United States expelled the ambassador from Ecuador, in retaliation for Wednesday’s expulsion of the US ambassador from Ecuador. 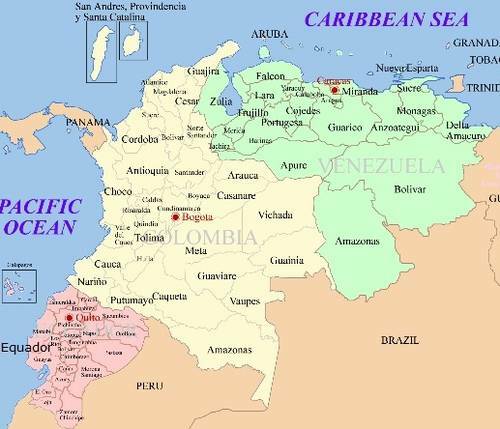 This now leaves the United States without ambassadorial relations in three South American countries – Bolivia and Venezuela being the other two – thus surpassing the Bush administration in its diplomatic problems in the region. US Ambassador Heather Hodges was declared “persona non grata” and asked to leave Ecuador “as soon as possible”, after a diplomatic cable released by WikiLeaks showed her saying some disparaging things about Ecuador’s president, Rafael Correa. In the cable, she alleges that President Correa had knowledge of corruption by a former head of the national police. Although the Bush administration intervened in the internal affairs of countries such as Bolivia and even Brazil, it was somewhat better at keeping its “eyes on the prize” and avoiding fights that would distract from its main goal. The prize, of course, is Venezuela – home to the largest oil reserves in the world, estimated by the US Geological Survey at 500bn barrels. Washington’s goal there for the last decade has been regime change. The Bush team understood that the more they fought with other countries in the region, the less credible would be their public relations story that Venezuela was the problem. Who are we kidding? The United States, Britain and NATO don’t care about bombing civilians to contain rebellion. Their militaries bomb civilians every day without mercy. They have destroyed most of the community infrastructure of Iraq and Afghanistan before turning their sights on Libya. So what’s really going on here? Last October, US oil giants— Chevron and Occidental Petroleum— made a surprising decision to pull out of Libya, while China, Germany and Italy stayed on, signing major contracts with Gadhaffi’s government. As the U.S. Asset who started negotiations for the Lockerbie Trial with Libyan diplomats, I had close ties to Libya’s U.N. Mission from 1995 to 2003. Given my long involvement in the Lockerbie saga, I have continued to enjoy special access to high level intelligence gossip on Libya. Last summer that gossip got juicy. 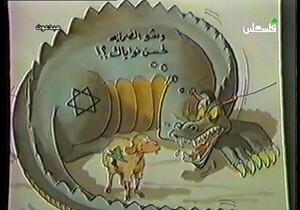 The Zionist Dragon; seen here, looking to feast on Lebanon. It now seeks to destroy Libya. It’s happening all over again. Do you hear them? You must be able to. The deaf, those incapable of hearing the sounds of serenity and calamity since birth, could hear them due to their almost wretched loudness. What? What you ask? The drums of war of course. And the drummers are composing their iniquitous cacophony from the same locations that they always do. Tel Aviv. Washington D.C. London, the City of London to be most precise. The audience for their bloodthirsty melody this time around? Libya. Their previous audiences included the ravaged nation of Afghanistan and the devastated nation of Iraq. War, classically defined, is a state of armed, hostile conflict between nations. But the war of the drummers is different. Their war, in their minds, is waged on children of a lesser God. Women of a lesser state of being. Men of a lesser right. Their war is mass murder of unarmed innocents, occupation, theft of land and resources, desecration and dehumanization. Their war is genocide. These drummers sometimes appear to be of an otherworldly nature; vampires from movies produced in the dregs of the morally destructive institution known as Hollywood. Their aim is to remain. Remain as the sole holders of the globe; the lone controllers; the only existing cabal of masters and elders, who will govern masses of cattle. As US President Obama visits neighboring Chile, Bolivian president Morales has called on the Nobel committee to strip him of his peace prize and has called for the United Nations (ONU in Spanish) to be renamed “ONI,” The United Nations of Invaders. “If the Nobel Peace Prize committee was to dignify this prize, they should revoke it from the US President,” said Morales at a press conference. Morales himself received the $50,000 “Gaddadi Human Rights Prize” before becoming the Bolivian president and said that the world should ask itself if Obama is defending peace or provoking massacres. 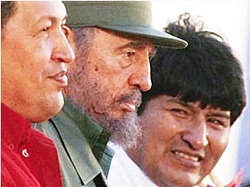 Morales said that the United Nations was bombing hospitals and schools on the pretext of savings lives. 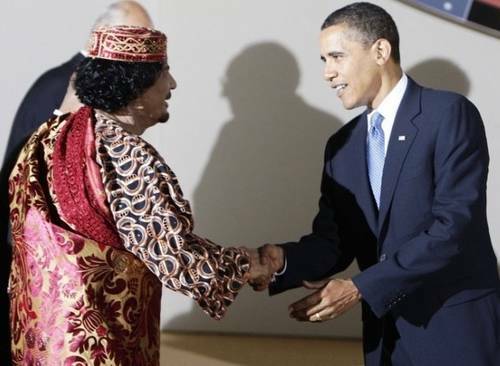 He said that the Libya invasion was just a pretext to invade and take Libya’s natural resources. Israel bombed Gaza at the end of 2008 in a brutal action which killed 1,300 people and destroyed 20,000 buildings, there was no question of the US allowing the UN to impose a no-fly zone over Gaza to protect its people, 50% of which are children. Those who support the UN security council’s authorisation of a no-fly zone over Libya (Britain, France and US line up for air strikes against Gaddafi, 18 March) need to reflect on the selective nature of UN intervention throughout the world and in the Middle East in particular. 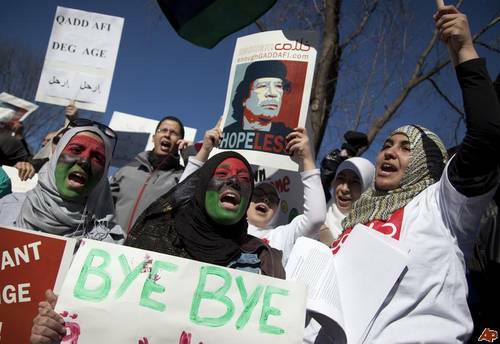 The UN will not be intervening in the Libyan revolution to protect civilians from Gaddafi’s brutality. It will go in to further the interests of the world’s major powers in the region. It will be an imperialist action, not a humanitarian one. After the bloodshed it produced in Serbia, Iraq and Afghanistan, the doctrine of “humanitarian military intervention” should be discredited beyond rehabilitation. The west is a major source of the problems of the Middle East and north Africa. It’s not part of the solution, even when its troops wear blue helmets. Just hours ago, the UN Security Council led by the US has backed the use of “all necessary measures” against the oil rich country of Libya–including no fly zones. 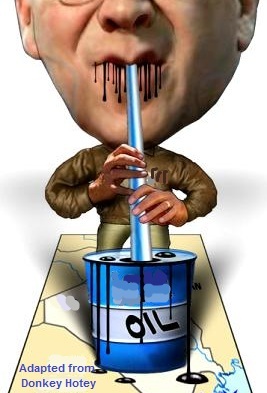 The UN once again proves to be a toady of the hegemon and the globalists who want to drain this planet dry of every drop of crude oil at any and all costs to the native populations of the countries that have the misfortune to be on top of vast reserves of crude oil. With the scandalous excuse of “protecting” civilians, we all know that the US-UN no fly zone and sanctions against Iraq caused the deaths of at least 1.5 million (expendable to the profiteers) Iraqis between the two US invasions. In my last column, I reviewed the military implications if the United States and Israel launched an attack on Iran. I will now discuss the types of weapons likely to be used and the catastrophic contamination of the entire Middle East region and the world that would result should they be foolish enough to proceed. As with the “shock and awe” attack on Baghdad, many missiles are likely to be fired from naval vessels located in the north of the Persian Gulf. Many of these missiles contain uranium components and would form part of an initial attack on the nuclear facilities in Iran. The Devil’s Excrement: Can oil-rich countries avoid the resource curse? Oil is a curse. Natural gas, copper, and diamonds are also bad for a country’s health. Hence, an insight that is as powerful as it is counterintuitive: Poor but resource-rich countries tend to be underdeveloped not despite their hydrocarbon and mineral riches butbecause of their resource wealth. One way or another, oil — or gold or zinc — makes you poor. This fact is hard to believe, and exceptions such as Norway and the United States are often used to argue that oil and prosperity can indeed go together. Yesterday, I met a little girl named Guljumma. She’s seven years old, and she lives in Kabul at a place called Helmand Refugee Camp District 5. Guljumma talked about what happened one morning last year when she was sleeping at home in southern Afghanistan’s Helmand Valley. At about 5 AM, bombs exploded. Some people in her family died. She lost an arm. Our war in Afghanistan is usually justified as an anti-terrorist mission or a nation-building exercise. But neither of these explanations is actually true.